"Mike Auldridge has himself inspired and sealed the fate of so many others, myself included." 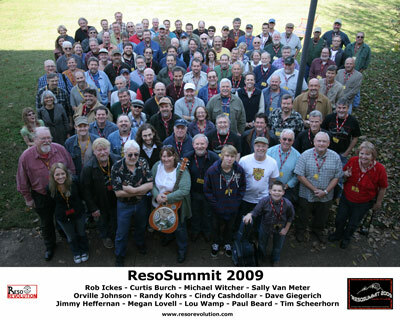 Now entering its fifth year, ResoSummit features an amazing roster of instructors, bands, luthiers, and participants for three days of Total Dobro Overload. For photos + info on the first four Summits, check out the links at left. Interested in attending? Sign up for our email list to get the earliest notice when next year's ResoSummit opens for registration. ResoSummit 2011 is already sold out, but don't despair! 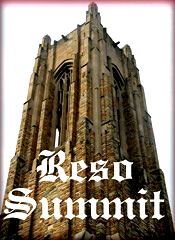 Visit the 2011 ResoSummit page and sign up for the wait list. "Like fantasy baseball for reso-players!" For more comments from our '08 survey go here.